Here at Caterpickles Central, we love live music (even if our bedtime schedules don’t always let us hear a lot of it). 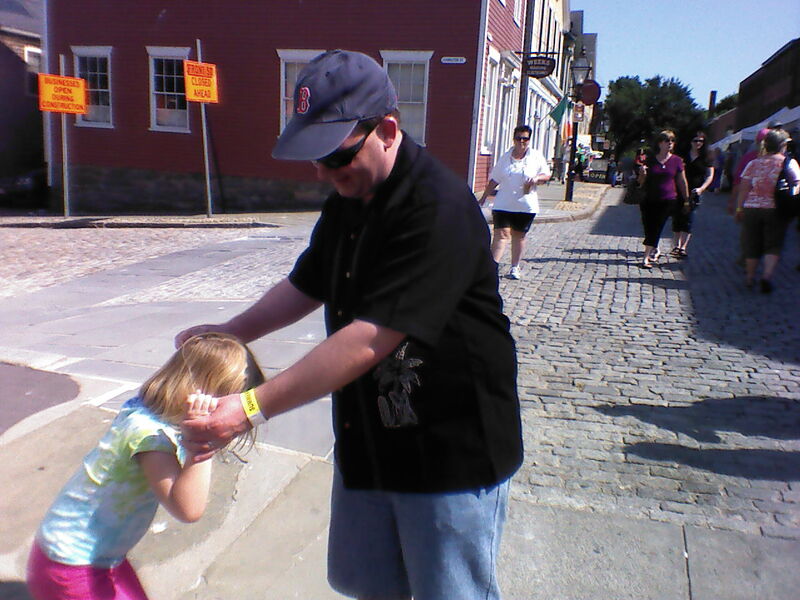 So when we had the chance to spend a day at New Bedford Summerfest this past weekend, we grabbed it. 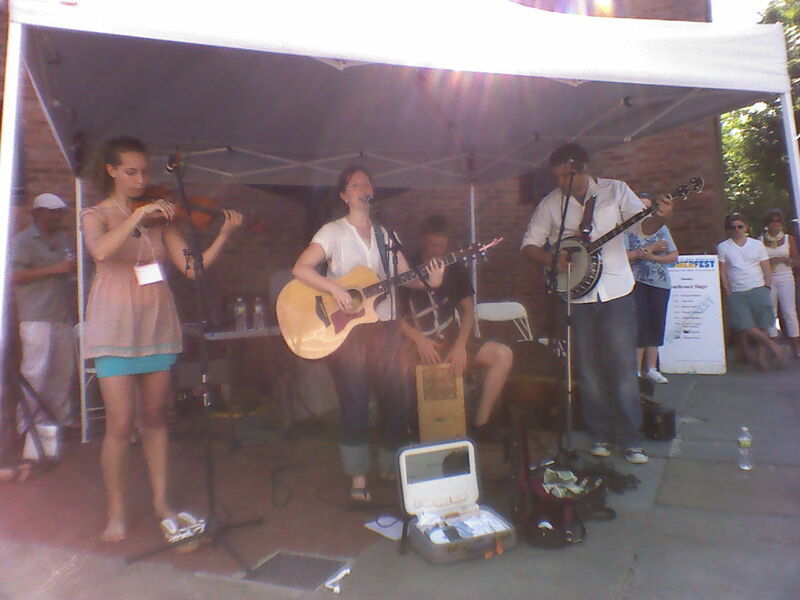 For those of you who haven’t been to (or heard of) the New Bedford Summerfest, it’s a family-oriented folk music and art festival that takes place the first weekend of July in New Bedford’s historic district. This year, the festival featured 70 performers giving nearly constant performances between 11 a.m. and 9 p.m. on seven separate stages scattered throughout the New Bedford Whaling National Historical Park. The festival offers attendees the chance to hear live music performed by artists ranging from the very well-known (Peter Yarrow of Peter, Paul & Mary fame) to the should-be-better-knowns (Peter Mulvey and Grace Morrison & the RSO) and the I-can’t-believe-I-missed-thems (Dala, Amy Black, Boxcar Lilies and countless others). And when you, like The Five-Year-Old, have finally heard enough music “to last the whole week!”, there’s still plenty to see. 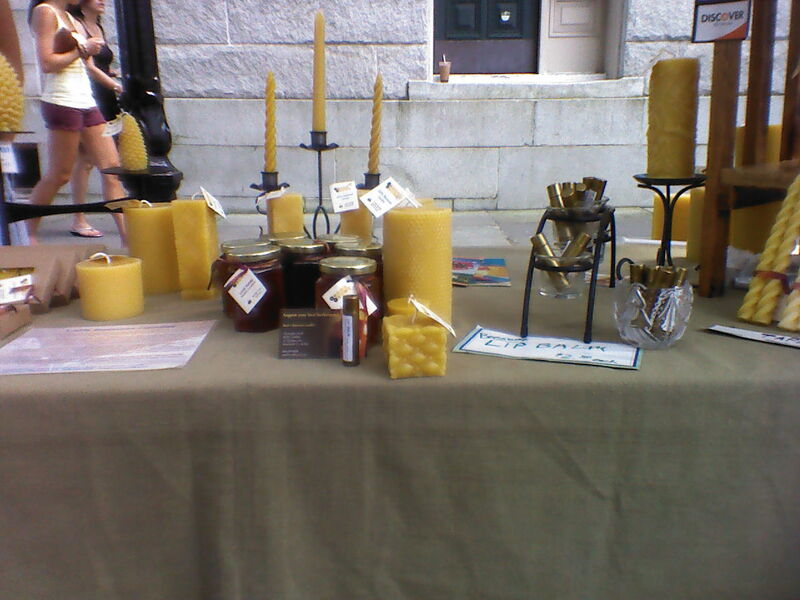 Like most New England festivals, the New Bedford Summerfest includes a wide range of fair trade merchants, crafters, book peddlers, artists, and food vendors. The beekeeper at Swift Farms was especially welcoming, and greeted The Five-Year-Old with fun facts about life in a hive. Her “did you know that of the thousands of bees in a hive, only about a hundred are male?” and “want to know what the inside of a hive smells like?–smell this” was precisely calculated to catch The Five-Year-Old’s interest. It also guaranteed that Swift Farms would have a customer for life, or at least for the day, as The Five-Year-Old’s grateful parents immediately stocked up on honey, candles, soap, and a gorgeous wooden honey dipper. 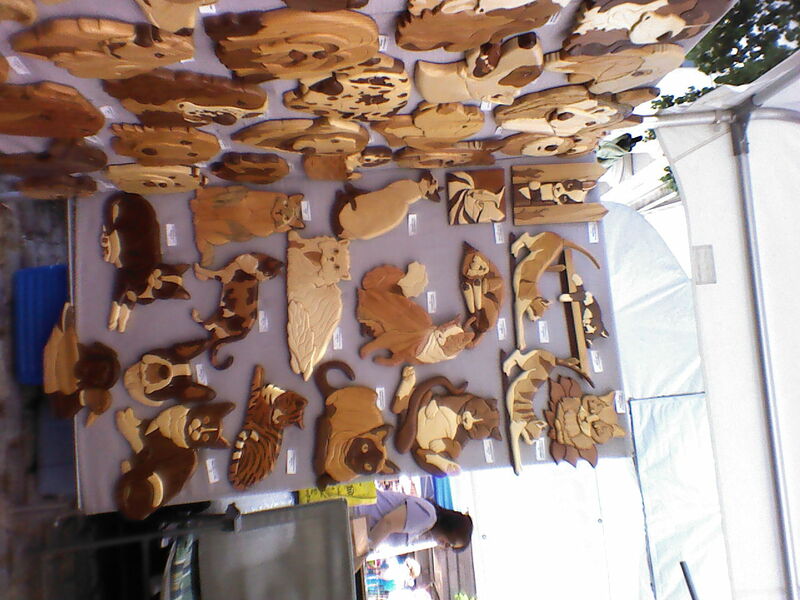 The Five-Year-Old’s other favorite spot was the wall of wooden kittens created by Mike Iacona at the Intarsia Creations booth. It was only with very great difficulty and the promise of a frozen lemonade that we were able to drag her out of there so that other customers could take a look. With all the booths set up along William Street, we never did make it to the Children’s Activities area. But don’t tell The Five-Year-Old. I want to surprise her with it when we go back next year. 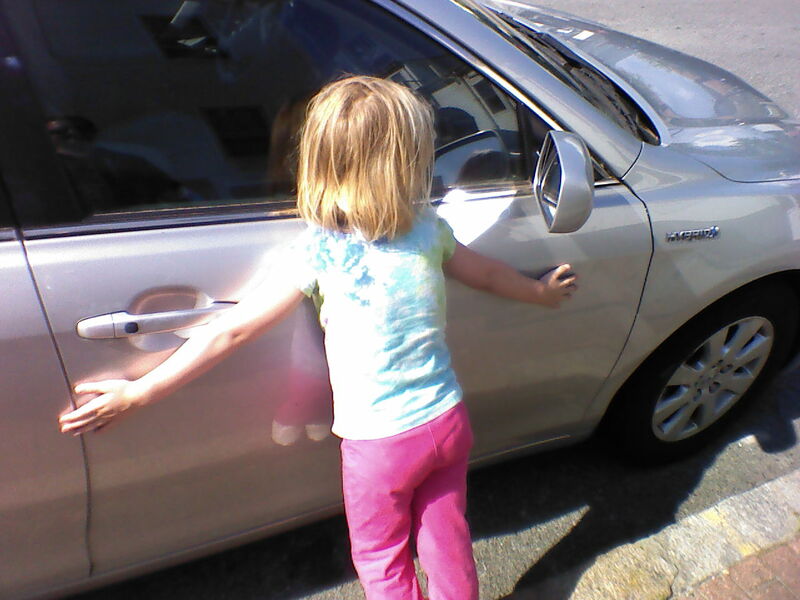 Of course, judging by The Five-Year-Old’s reaction when we got back to the car, she may not have had enough energy for it this year anyway.